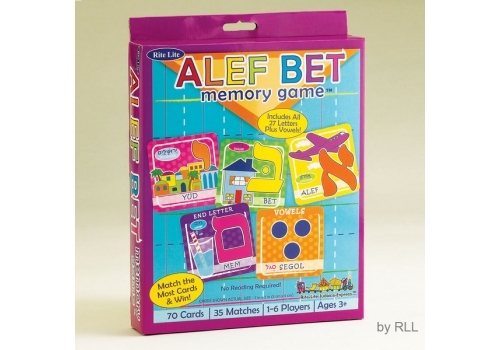 Aleph Bet Memory game gives from 1-6 players endless amount of non-reading fun! Match up the letters and pictures to create the most matches, and then you win! 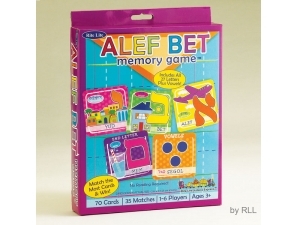 Each brightly colored card is 2” x 2” and includes all the Hebrew letters plus the vowels! Readers can enjoy an added fun by reading the Hebrew word that coordinates with the picture and letter! Each set contains 70 cards, which makes 35 matches!